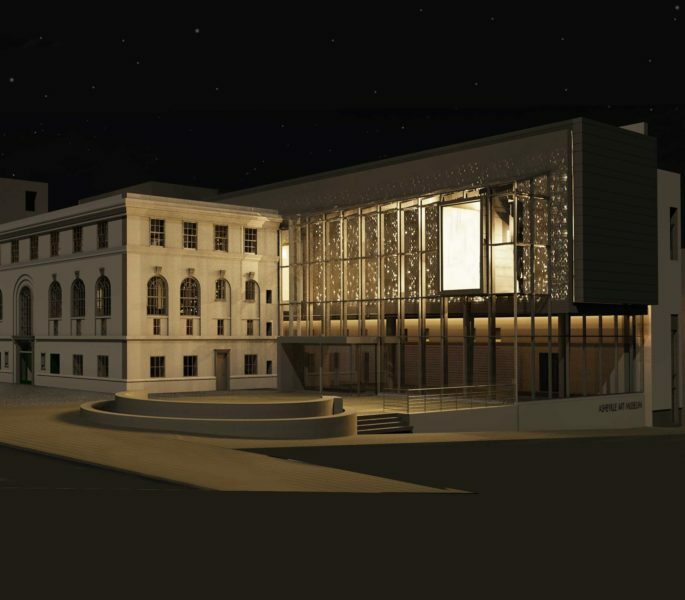 The evening will be a festive gathering with plenty of unique New Belgium beers and partner wines to sample, tasty local food, a brewery tour, a silent auction and live entertainment. Live music for the evening is generously provided by Hoo:Lumes (please bring cash as we encourage tips!)! Hoo:Lumes is an ongoing songwriting partnership between two college friends – Sophia Darby (vocals, guitar, synth) and Drew Sencabaugh (drums, guitar, synth). The folk-tinged, indie rock duo generally performs two sets of original music — one acoustic, one electric — that aims to provide listeners with an evocative, magnetic, and dynamic experience. They plan to release an album by summer. Check them out on Soundcloud, Youtube, Instagram, Facebook, and their website. This year our live artist will be Tank-A Gabriliants who will be doing a wonderful and unique jewelry demo for party-goers. Check out her other work on her website! Thank you to our lead sponsor New Belgium Brewing for their generous support, and to Celine & Company Catering “On Broadway” for generously providing tables and linens for the event. We are proud to share that New Belgium Brewing diverts 99.9% of their waste from the landfill. They are a Platinum Certified Zero Waste Business that is always working hard to divert, reuse, or eliminate waste wherever possible. These practices help to minimize ecosystem damage from resource extraction and aid in preserving our ecosystems for future generations. 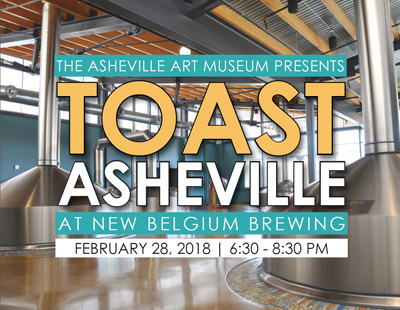 In our partnership with New Belgium Brewing, the Asheville Art Museum will be making sure that TOAST Asheville will be using only compostable items in order to keep in line with these important business practices! To learn more about New Belgium Brewing’s Compost initiatives click here.